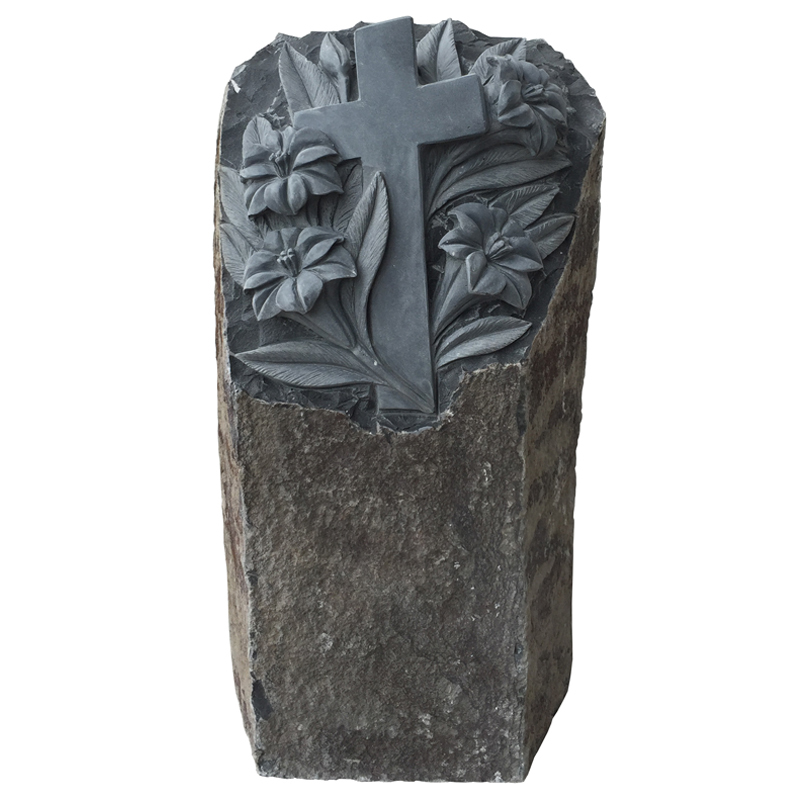 The Cross with Flowers Cremation Garden Tower is made from natural stone (Basalt) with hand carved sides and with a fully carved cross and flowers on the top. 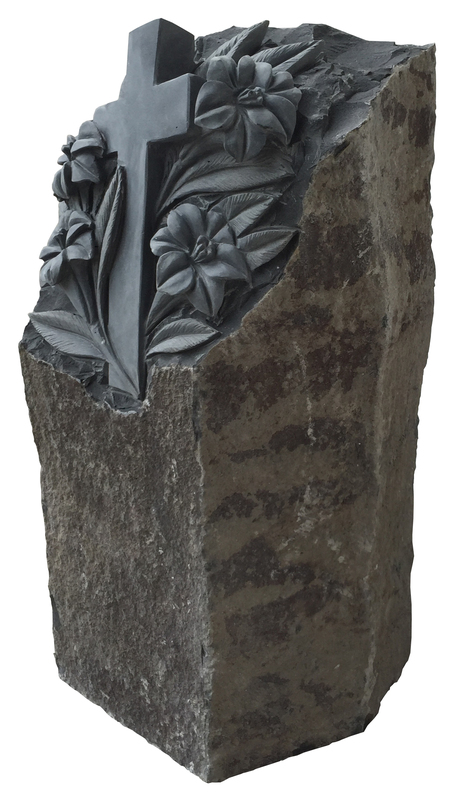 The Towers are offered with painted or unpainted carvings. The Tower comes in two sizes: Singles are approximately 10″ diameter x 24″ tall with a 6″ x 10″ deep core hole and are designed to hold one stainless steel canister; Doubles are approximately 10″ diameter x 30″ tall with a 6″ x 20″ deep core hole and are designed to hold two stainless steel canisters.